The ODROID-XU4Q is powered by ARM big.LITTLE technology, the Heterogeneous Multi-Processing (HMP) solution. It is a new generation of computing device with more powerful, more energy-efficient hardware and a smaller form factor. By implementing eMMC 5.0, USB 3.0 and Gigabit Ethernet interfaces, the ODROID-XU4Q boasts amazing data transfer speeds, a feature that is increasingly required to support advanced processing power on ARM devices. This allows users to truly experience an upgrade in computing, especially with faster booting, web browsing, networking, and 3D games. The ODROID-XU4Q is fully software compatible with the ODROID-XU3 and the ODROID-XU4. 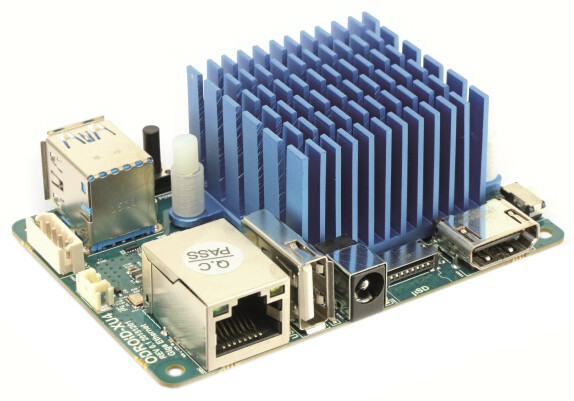 Unlike its predecessor model ODROID-XU4, the ODROID-XU4Q is passively cooled.